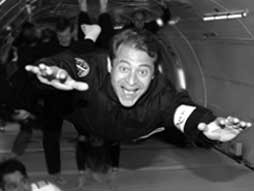 Peter Diamandis runs the X Prize Foundation, which gives rich cash awards to the inventors and engineers who'll get us back to the moon, build a better car and explore the genome. And watch for more prizes to come. Diamandas' background is in space exploration. Waterloo  There is a wealth of data available on financial markets to anyone with an Internet connection, but when finance professionals need to dig deeper, they turn to high-powered proprietary data systems like the storied Bloomberg Terminals. Now students at Wilfrid Laurier University have access to 12 Bloomberg Terminals and a full slate of courses on how to use them. Waterloo - The Centre for International Governance Innovation (CIGI) has announced its membership in the inaugural Council of Councils. Launched this week in Washington, D.C., by the Council on Foreign Relations (CFR) , the Council of Councils is an international initiative to connect leading foreign policy institutes from around the world in a common conversation on issues of global governance and multilateral cooperation. Waterloo  Wilfrid Laurier University has announced three finalists for the annual Outstanding Women of Laurier Award. The award will be presented at a luncheon March 29 at the Waterloo Inn Conference Hotel. The Outstanding Women of Laurier (OWL) Award recognizes a female Laurier student who combines athletic and academic achievement with an active commitment to leadership and the development of young athletes through community teaching or coaching. Toronto - The Ontario government has received a report from the Ontario Lottery and Gaming Corporation (OLG) that proposes modernization of the system, an increase in its revenues by more than $1 billion a year, and the creation of 2,300 net new jobs in the gaming industry and nearly 4,000 additional jobs in the hospitality and retail sectors by 2017-18. Waterloo Region  A new exhibit called Coming of Age is now open daily at the Waterloo Region Museum. The exhibit, developed by the museum, tells the story of teenage life in Waterloo Region from the 1920s through today. Cambridge  An important announcement is scheduled for March 20, concerning how organizers will be using landscape architecture and art to ReFresh, ReThink and ReImagine the City of Cambridge. The partner organizations are planting art out in the community this summer. Partners for this summer-long project include the University of Waterloo School of Architecture, University of Guelph School of Landscape Architecture, rare Charitable Research Reserve, Cambridge Sculpture Garden and Cambridge Libraries. Toronto  As Canada continues to grapple with the challenges of an aging workforce, there’s no better time to consider today’s youth as potential skilled workers for tomorrow. That’s the message from organizers of FABTECH Canada 2012, Canada ’s first exclusive fabricating, metal forming and welding event, making its debut at the Toronto Congress Centre, March 20-22. Ottawa - Stephen Woodworth, Member of Parliament for Kitchener Centre, has paid tribute to two exceptional women and Waterloo Regions Focus for Ethnic Women. “Mr. Speaker: Last week I celebrated International Women’s Day attending an awards banquet for Waterloo Region’s Focus for Ethnic Women. This unique volunteer-driven group has, for many years, provided support for women facing the challenge of re-establishing their lives in Canada.